Meet young people from across the world; be part of an amazing international gathering, an inspiring vision of the young Church. AGE RANGE: The BCYS trip is open to anyone aged from school year 12 to age 27 at the time we travel. COST: The likely cost is £1,750, including flights, most meals, insurance, accommodation and WYD registration fee. The BCYS can offer bursary funding to students and those from families on low income. We have been in touch with schools and many will support fundraising; parishes will also be supportive. Please do not let the cost put you off – we will do all we can to help you raise the money. 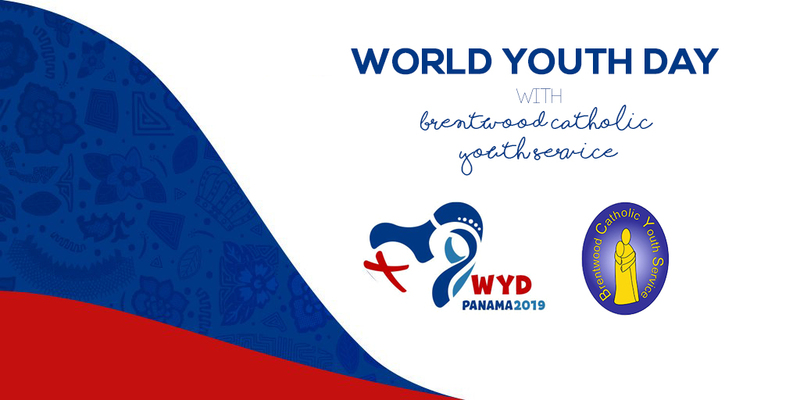 TIMING: WYD2019 is in January – our likely travel dates are 18th-27th January 2019. Most Catholic schools have said that those in school year 12 in 2019 can travel; for those in school year 13 it will be too close to A levels, and for Uni students it will fall in term time. The Panamanians rightly point out that if it was held in our summer months, it would be their wet season, and totally unsuitable! In reality, the 2019 trip will be ideal for those in Year 12, or who are over 18 and working. The max age is 27. SPIRITUALITY: WYD is open to all – if you have questions about your faith, or would like to deepen your faith, it is an amazing opportunity. The WYD experience is partly cultural – discovering Latin America, and meeting young people from all over the world. It also includes numerous times of prayer, talks by Bishops and Cardinals, and Masses led by the Pope. Come with an open heart – and be prepared for a depth and focus on faith. PHYSICALITY: WYD requires some physical and mental robustness; long flights, large crowds, and several miles of walking on some days. Everyone is very welcome to come – but do be aware of the demands of the trip! INTERESTED? Excellent – email frdominic@dioceseofbrentwood.org with your name, address, phone number and date of birth. Emails accepted up to November 30th 2017. After that we will form the group and start preparing and fundraising. Please do also email with any questions, from you or your family, if you need more information before making an initial commitment.